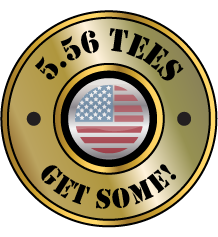 5.56 Tees is a startup apparel company specializing in military & patriotic designs. Our goal is provide great designs, donate $1 to military charities for each shirt sold, and independently contract and pay commission to veterans for their designs! We are pushing this campaign to help us raise startup costs. Please help us make our vision a reality!